The very first visit to the talyer doesn't have to be a nerve-wracking (or costly) experience. We're here to be of service and to share our stories, so that you don't have to be on the receiving end of headaches and heartaches. Owning and maintaining a car is supposed to fun, so keep these tips in mind. 1. Know exactly what you want. Before pulling into a shop, you should already know what needs to be done. Are you there for routine service, like a change oil or brake-pad change? Or is something broken that needs fixing? Do you need to get an opinion about something? Maybe there's a weird noise coming from the rear of the chassis and it's driving you nuts, and you have to find out what it is? If a shop owner asks you what you need and you don't have an answer, you're a sitting duck, buddy. 2. Ask around and get a recommendation first. It's not that hard, really. But be warned that sometimes you might end up going to a shop that isn't a good fit for you. If things go south, please don't blame the person you asked advice from. Social media is great place to get input, but take advice from strangers with a grain of salt. 3. Know what parts are being removed and what is going in. If, for example, the alternator has gone bad and it needs to be pulled out, monitor its removal every step of the way. A good shop will show you the teardown of the component and explain what needs to be fixed or replaced, and then provide you with options. A bad shop will say that the alternator needs to be replaced with a brand-new one right away—without even examining the component. 4. For major work, schedule when you will be bringing the car in for repairs. This is to at least be fair to the owner of the shop. They are running a business and have their own deadlines. The scheduling phase is also a great way to gauge if you are comfortable with the owner, and to see if the shop is up to your own personal standards. 5. If you can, try your best to avoid under-the-tree mechanics. Unless you know them personally and appreciate the quality of their work, we don't recommend pulling up to any random makeshift stall by the side of the road to have work done on your precious ride. This is perfectly acceptable in the event of an emergency, and you may even meet the most kickass mechanic this way. But unless that specific person is recommended, don't tempt fate. 6. Absolutely do not let work start without getting an estimate first and agreeing on a set amount. If there is a chance that the job will cost more than planned, you should be warned before the job commences. 7. Lady drivers, please don't be offended: Chances are the estimates for the work will be much higher if you are a girl. I have three sisters, you see, and each has been quoted way too much every time they have gone to the talyer without me. Gentlemen, if you have sisters or wives, please refer them to shops that you trust. It’s best to accompany them, but this can’t always be the case. Anyway, let the proprietors know that your sister or wife will be showing up, and to assist them in every way. If you already have a trusted shop, nurture that relationship. The ownership journey will be different for everyone. In an ideal world there aren't any scammers, but looking back at how long I've been a car enthusiast, I must say that the good and the bad is all part of it. My friends in the hobby call unsavory experiences 'tuition fees.' It can't be more true. I hope this simple list helps you as you explore the wonderful world of the talyer. 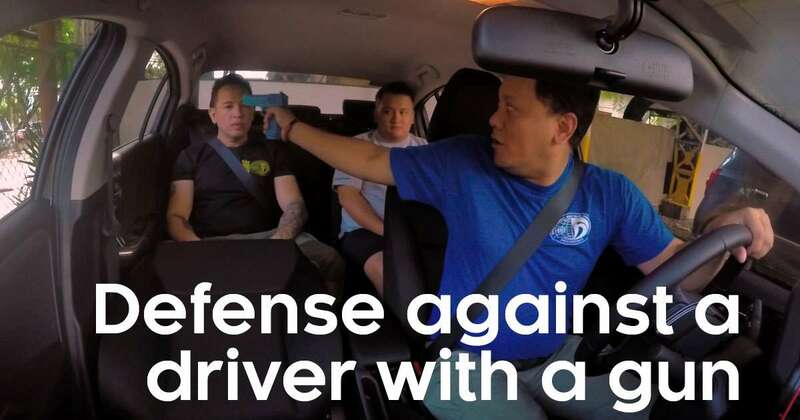 What do you do when a driver points a gun at your head?